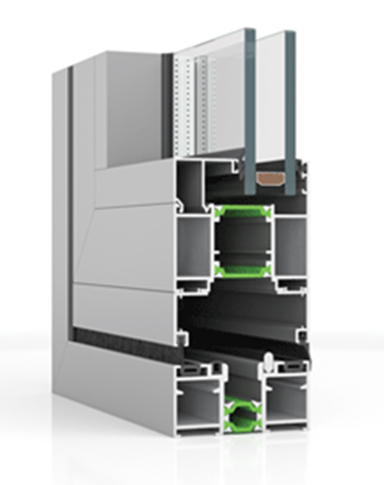 GV FD is a brand new Bi-Folding door system, offering extremely high performance and impressive, out of competition, technical characteristics. The desire to create living spaces filled with daylight was never so feasible. This high performance system offers this advantage, as well as a minimal design, high insulation and functionality with hardware that have specifically been designed for folding systems. Suitable for many different typologies, having the greatest advantage of corner opening without any column. This unique feature ensures maximum transparency and easy opening, whilst another practical feature is that one leaf can act as an opening door without interrupting the other folding leafs. GV FD is available in multiple threshold options in order to perfectly match all comfort and aesthetic requirements. The low threshold option offers a rise of only 24 mm (ramp) giving easy access to people with special needs and allowing maximum convenience for high-traffic areas. 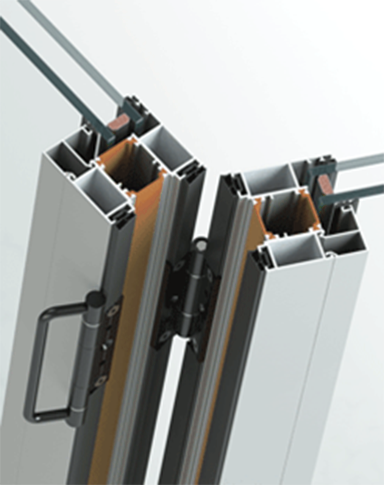 Specially designed rolling hinges, sliding smoothly on the bottom rail, ensure quietly and easily operation of the system. High level of thermal insulation (Uf values down to 2,3 W/m2K) due to 30 mm polyamides. 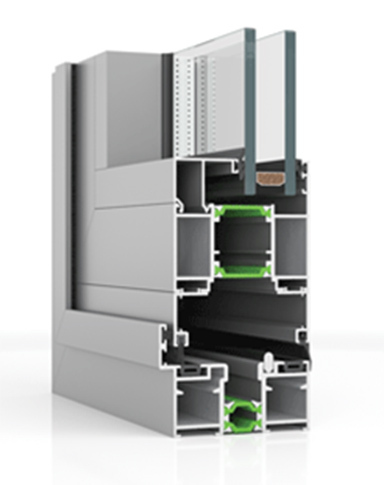 Exceptional water tightness, functionality, reliability and comfort. Suitable for large openings, every conceivable configuration achievable up to 14 leafs (7 Left – 7 Right) with maximum height 3 m and width of 1.20 m for each leaf. Ultra-smooth bottom running by using specially designed rolling hinges carrying maximum weight of 120 kgr per leaf. Possibility of open corners without any post. 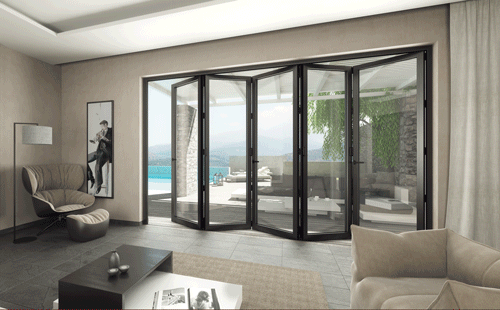 Able to open inward or outward door with locking system. Possibility of even number of openings (2, 4 etc.). Special hinge with integrated built-in handle for easy locking. In and outward opening using the same profiles. Perfect choice for private homes, offices, restaurants and recreational areas.